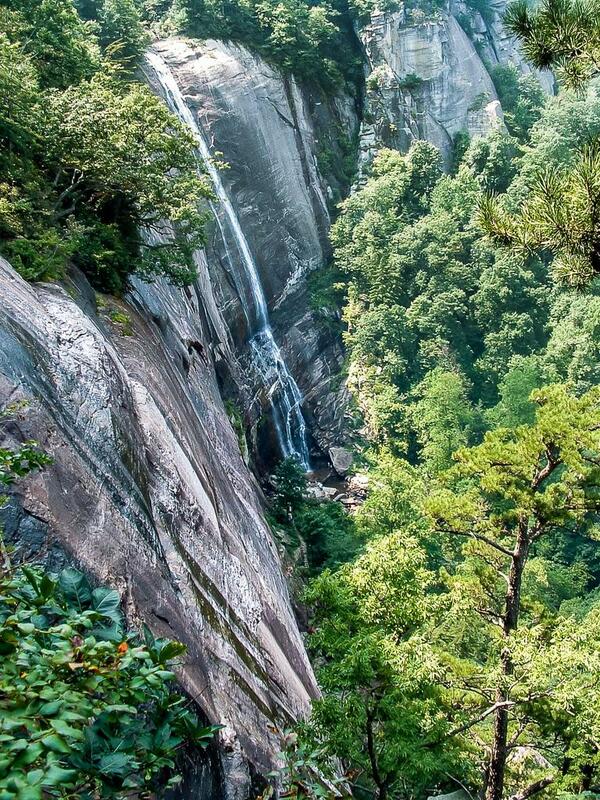 Looking for a place to start exploring the outdoors in WNC? Look no further than our Trailheads. HikeWNC's Trailheads are hubs, or areas, where several trails are convenient to one another or joined in a network. More than Wikipedia's definition of a Trailhead as "the point at which a trail starts", a Trailhead here could be a campground, a parking area where several trails start, a stream basin, an isolated park, a town, or simply an area with a group of trails convenient to one another. Historically, cities located near the starting point for major paths were also called Trailheads. The US Forest Service has been referring to these as Trail Complexes in its recent Trail Strategy process. For this site, a Trailhead can be any of these, but represents a way for us to group information about a place where you can spend a day or more exploring hiking trails without having to drive too far - or at all! Choose a Trailhead from the list or map below to see all the details that we have on each one. Here's a map of the trailhead areas we cover. Roll over a "TH" symbol to see its name, zoom in near one to see the area's outline, and click or tap for more information about that trailhead area. Here's a list of the trailhead areas we cover, grouped by the type of ownership over the lands: Federal, State, City/County (and other public lands), and private property open to visitors. Waterfalls always make a great hiking destination. 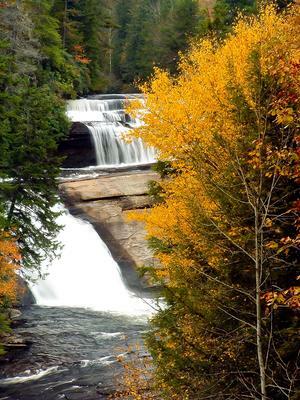 Here's Triple Falls, in the DuPont State Forest Trailhead. 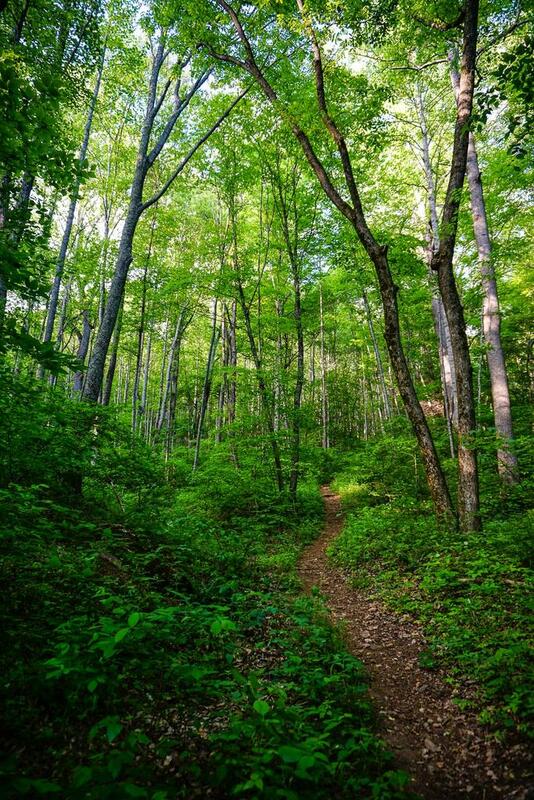 Spring green trees arch over a steep section of an unnamed trail in the Shope Creek area of Pisgah National Forest. Hickory Nut Falls in late summer. Even as the water flow slows down during dry spells, it never completely stops, as seen here. Harmon Den & Max Patch Mtn.